A person who is unable to read, write, and speak in English might be approved under the grid rules if he or she is 45 years or older. The grid rules do not take into consideration a claimant’s education level if he or she cannot communicate in English. 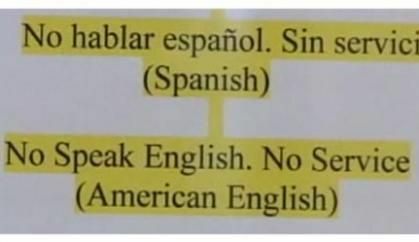 This is because English is the primary language spoken in the United States, and being unable to communicate in English makes it difficult to do most jobs. Here are some examples of how the inability to communicate in English affected a claim under the grid rules. A 45-year-old woman applied for disability due to shoulder impingement syndrome in both shoulders. Surgery had been unsuccessful. The claimant was unable to communicate in English. In her native country of Vietnam, the claimant had a high school education and some vocational training. However, once she came to the United States, her only job had been as a packer in an orchard, which is defined as unskilled work. Even though the SSA determined she had the RFC to do a sit-down job, given her inability to communicate in English, the grids directed a finding of disabled. A 29-year-old woman applied for disability due to a back injury. She had no significant work history. The SSA determined he still had the RFC to do a sit-down job, and, despite his inability to communicate in English, the claimant was denied. A 51-year-old man applied for disability due to moderate hearing loss and glaucoma. His past work had been as an unskilled field laborer. The SSA determined that he still had the RFC to do light work; however, because the claimant was unable to communicate in English, the grids directed a finding of disabled. If you are unable to communicate in English and are an immigrant, you should check your immigration status to see if you are eligible for benefits. For more information, see our section on citizenship and residency requirements for Social Security disability benefits.